Thi will be on Friday 7th December 2018 at 12:30 to 5:30pm. Saturday 8th December 9:00 to 1:30pm at 210 Upper East Road, Corner Cheshire. Featuring a basket exhibition by Zienzele and Metal Sculpture by One Day. 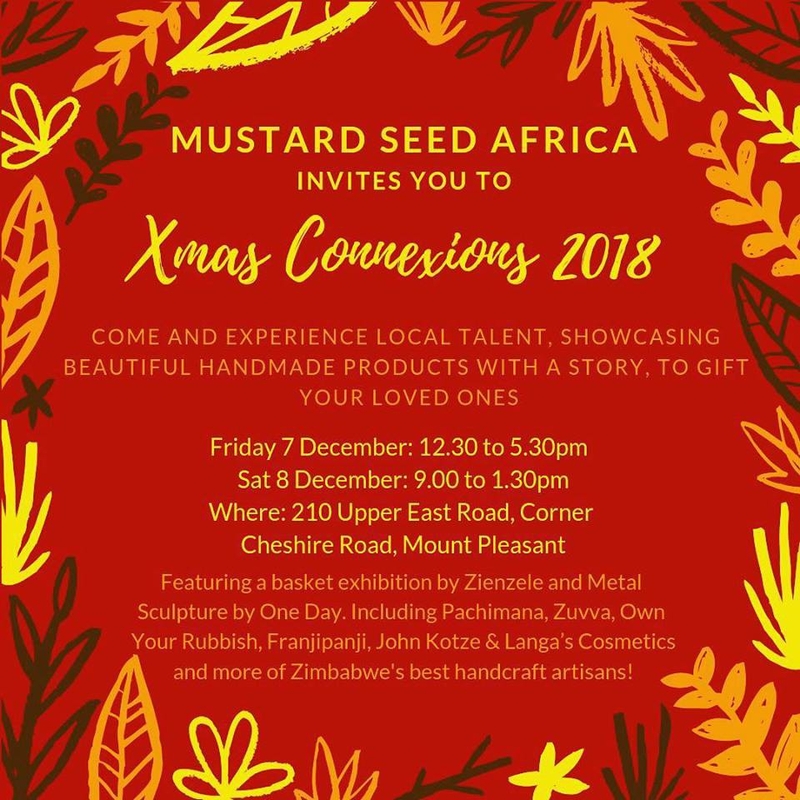 Including Pachimana, Zuvva, Own Your Rubbish, Frnjipanji, John Kotse & Langa's Cosmetics and more of Zimbabwe's best handcraft artisans.